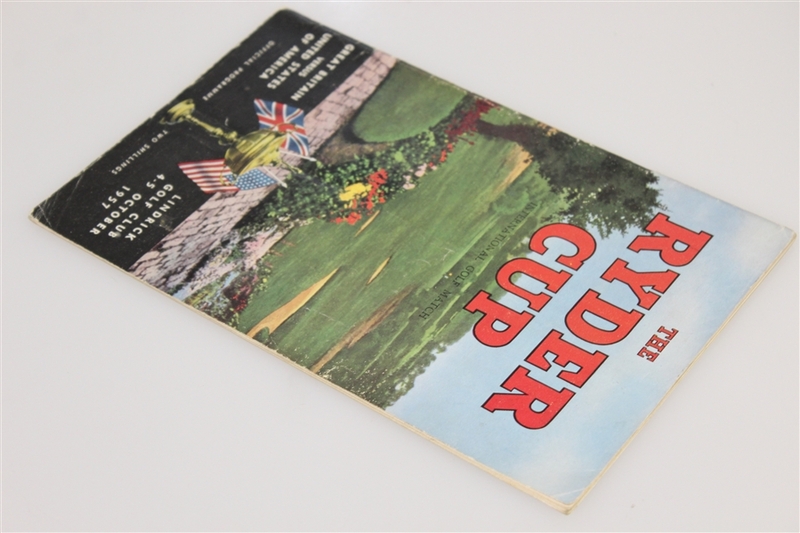 Here we have a program from the 1957 Ryder Cup at Lindrick Golf Club. 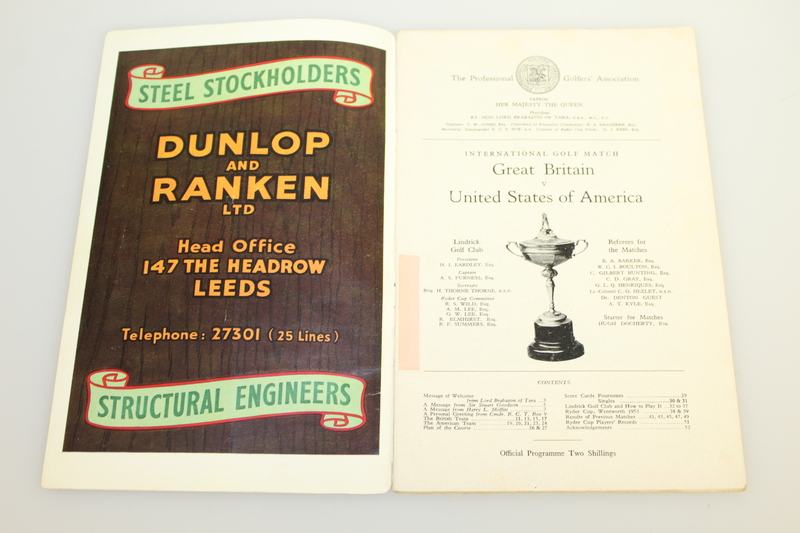 The front cover shows some scuffs and creasing, otherwise in good condition. 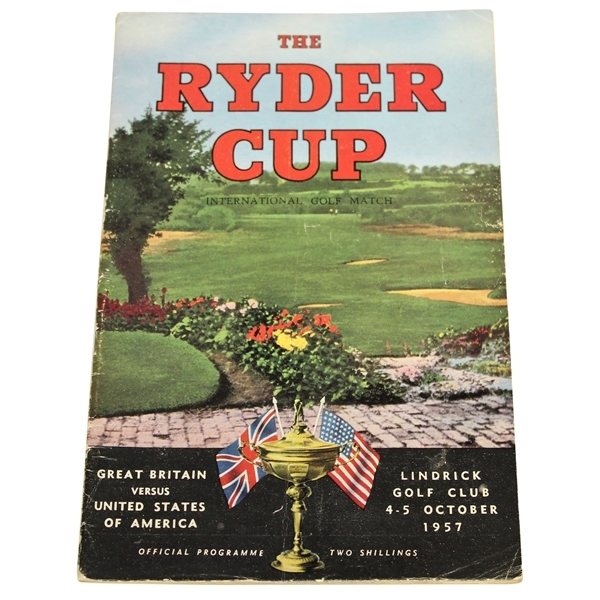 The 1957 Ryder Cup saw the Great Britain team, for the first time in 24 years, beat the United States team by a score of 7½ to 4½ points. 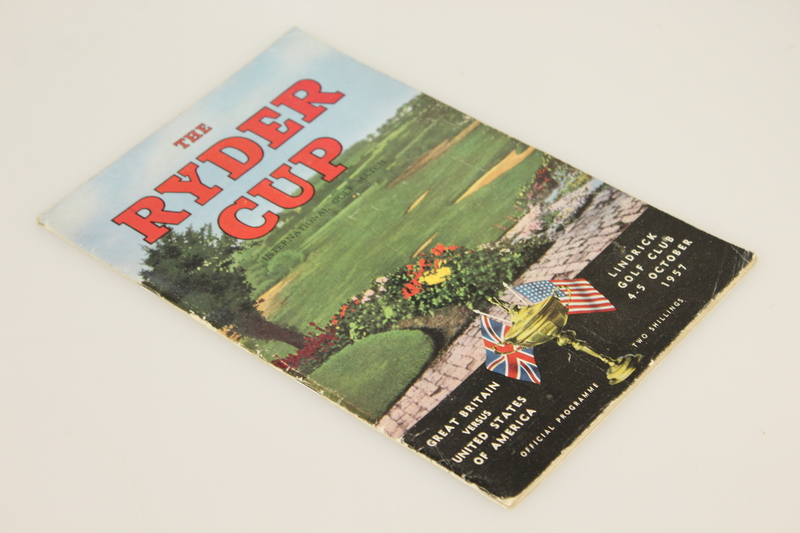 The Americans came out of the gates fast on day one, but the British team rallied on day two. 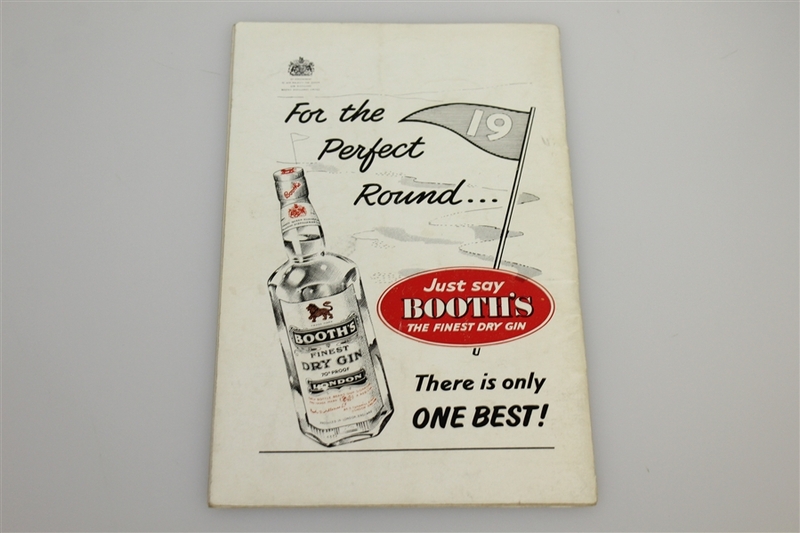 After a threat from the United States, the British closed it out during the singles matches by gaining 6 1/2 points in those 8 matches.